Density functional theory (DFT)-based calculations were performed to model and investigate the interaction of carbon monoxide (CO) on various configurations of copper-palladium (CuPd) surfaces. We employed two versions of calculations: with and without vdW-DF2 functional. Results show that calculation using vdW-DF2 functional is more accurate in describing the geometry and energetics of the surfaces, i.e., CO adsorption sites as well as the corresponding adsorption energies are consistent with experimental observations. In addition, results show that the presence of Pd atoms in the surface affects the resulting adsorption sites (ensemble effect) and the magnitude of adsorption energy on top of Pd sites decreases as the Cu concentration increases (ligand effect). R. A. Villaos, J. Albia, and A. A. Padama. 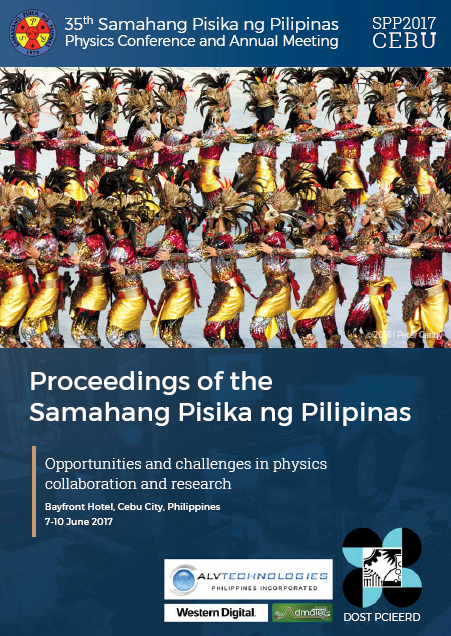 Adsorption of CO on CuPd surfaces: A DFT study using vdW-DF2 functional, Proceedings of the Samahang Pisika ng Pilipinas 35, SPP-2017-2B-05 (2017). URL: https://paperview.spp-online.org/proceedings/article/view/33.